An area with a huge, inverted pyramid due to strange data. 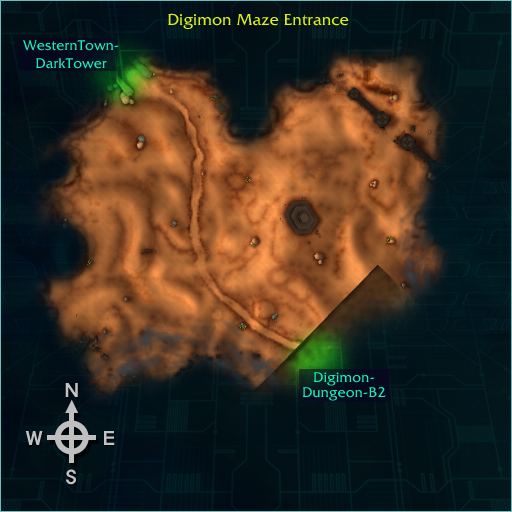 To unlock Digimon Maze Entrance, you need Tamer level 55 on gDMO or Tamer level 60 on kDMO and get the quest on digivice where you have talk with Richard Sampson at DATS Center and after with talk with Starmon at Dark Tower Wasteland on entrance from Maze. Your Starter Digimon is required to be lvl 41, otherwise you will not be able to complete the missions of this map and the following. This page was last modified on 17 June 2018, at 16:49.